New York, NY., December 29, 2017 - GuestCentric, the leading provider of digital marketing software for hotels, has been awarded five international awards for its work on the Jaya House RiverPark website design in its 2017 edition, namely the Gold Award, Hermes Awards; Outstanding Achievement, Web Awards; Gold Award, W3 Awards; Gold Award, Horizon Awards; and Gold Award, AVA Digital Awards. Peacefully located alongside the Siem Reap River and surrounded by fully grown trees, Jaya House RiverPark is a unique hotel with 36 rooms, two swimming pools, a Spa and an all-day-dining restaurant. “Independent and Boutique Hotels such as Jaya House RiverPark are striving more and more to outclass in the hospitality industry, a very competitive market with increasingly demanding users. Getting 5 international website design awards is such an honor! We couldn’t be more proud of our new website, as online visits have increased, and these awards mean that GuestCentric design team did an excellent job!”, said Christian Boer, General Manager of Jaya House River Park. GuestCentric's advanced digital marketing platform provides hoteliers with tools to compete with major chains and OTAs. 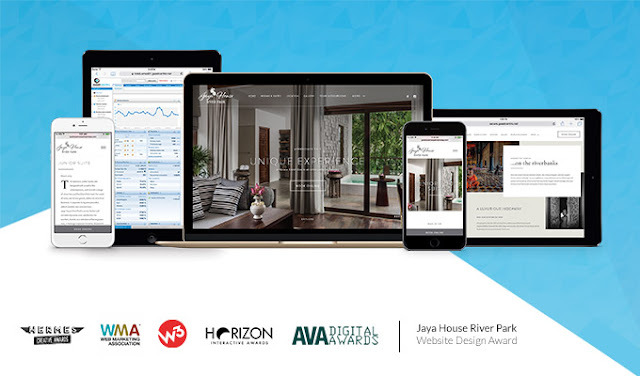 Now, with the GuestCentric powerful digital toolset, Jaya House River Park has access to the contents and images of its website, marketing and publishing tools for social media, SEO optimization and analytical data. “We are delighted to partner with such a respected hotel brand as Jaya House RiverPark for their digital marketing needs“, said Pedro Colaco, GuestCentric’s CEO. “We are very pleased to have received five international design awards in one year. This means that, without a doubt, we’ve managed successfully to tell their story through their new website”, concluded Colaco. 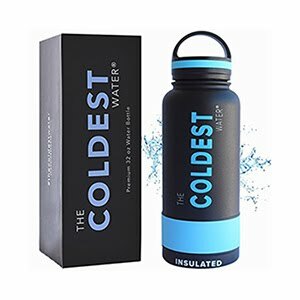 As one of the very first hotels aiming to be “plastic free” and one of the initiative takers behind #refillNOTlandfill, it is on our DNA to be different and more guest focussed and we are actively trying to impress at every single occasion. With only 36 rooms & suites, 2 pools, an all-day dining, a spa and arguably the best location in town, we are indeed aiming high. “Being small, independent and privately owned means we can adapt and be more guest focussed than a larger (chain) hotel simply ensuring a better guest experience and this journey starts from the moment a potential guest visits our website. The team at Guestcentric & FrontDeskAnywhere fitted perfectly with our philosophy and goals.” – Christian Boer, General Manager of Jaya House River Park.